With our real-time GPS tracking, you can see your driver’s live location and driving habits at any given time. Using our innovative G-force sensor, you can track who your best drivers are! Measure harsh breaking and acceleration, see who is abusing your assets with complete visibility of your team’s performance. Ensure you have the best employees taking care of your vehicles and being positive advocates for your business. 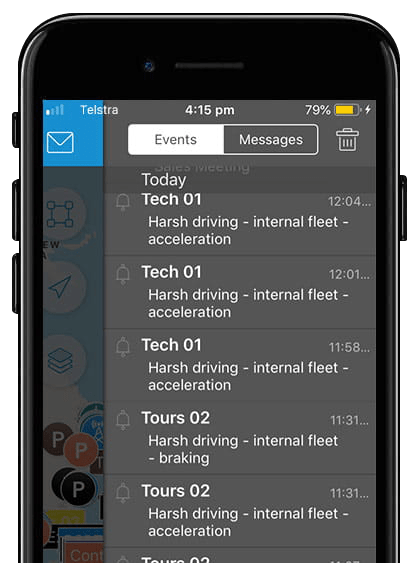 Our software provides you with real-time alerts for when unsafe driving occurs. Get instant notifications in the event of accidents or critical events. Manage your liability when it comes to critical events, by having access to detailed historical data of up to three years.